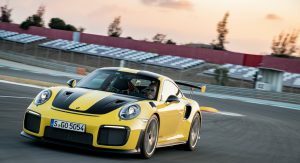 Production of the 911 GT2 RS ended last February, but apparently Porsche is resuming manufacturing (at least a few cars) in order to attend to a handful of customers in Brazil, whose vehicles were lost in a recent shipping accident. A cargo ship named Grande America sank off the coast of France on March 12 following a fire that broke on one of the containers on deck, taking with it some 2,000 cars. Audi Brazil reportedly confirmed that the ship was carrying a number of A3, A5, Q7, RS4, and RS5 models. 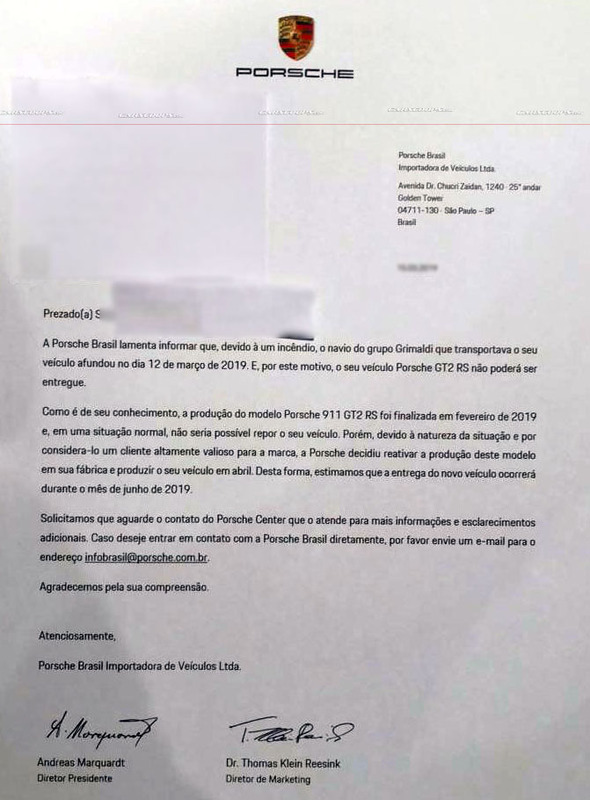 Porsche, however, hasn’t publicly confirmed having cars on the same vessel, but thanks to an anonymous tip, we got hold of a letter sent by Porsche Brazil to a customer, telling them that their 911 GT2 RS can not be delivered due to the accident of the Grande America. ”We are sorry to inform you that, due to a fire, a Grimaldi group ship, that was transporting your vehicle, sank on March 12, 2019. And for that reason, your GT2 RS can not be delivered. 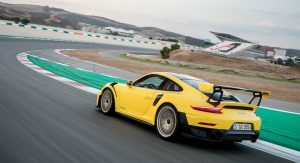 As you may know, Porsche ended the 991 GT2 RS production on February 2019 and under normal circumstances, it wouldn’t be possible to give you another car. 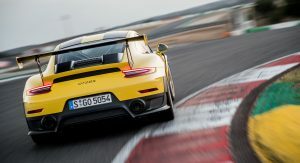 But, due to the nature of the situation, and considering that you’re a loyal and highly valuable customer for our brand, Porsche has decided to resume the GT2 RS production in Germany, and your vehicle will be produced in April, with delivery scheduled for June. 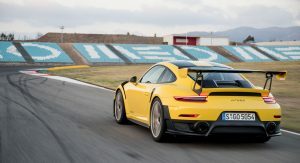 Sources from Brazil mentioned that the cargo ship carried at least four examples of the Porsche 911 GT2 RS, along with few other models, including 718 Caymans and Boxsters, as well as Cayennes. 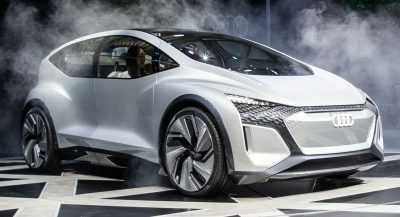 According to a Porsche spokesperson, Porsche Brasil confirms that 37 of its new cars, in route from Hamburg, Germany to Santos, Brazil, were aboard the vessel Grande America that suffered a maritime incident near the coast of Brest, France, on March 12, 2019. Among the fleet were four 911 GT2RS units. 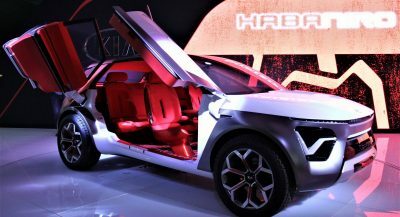 “In a special decision and to uphold its commitment to its valued Brazilian customers, Porsche has ensured that those units will be reproduced in the order in which they were originally confirmed”, the spokesperson added. If you were successful criminal, you could own one! Translation, We value your money. Translation: You ordered a car, so we are going to sell you the car you ordered. I’m guessing those containers aren’t water tight? They should be anyways in situations like this so salvage teams can atleast retrieve them. And water tight containers? To handle pressures like 100m/300ft? That is possible in a watch and only because they aren’t always being opened and closed, or the joints would degrade quickly. And also, why do expensive water tight containers when this kind of accidents happen 0.0001% of the times? They’d be destroyed crashing into the ocean floor. You want to recover some Porsches from the sea bed three miles down, be my guest. They have rubber weather seals, but they’re meant to keep sea spray out, not to allow them to float. At least Porsche is doing their due diligence to rebuild and replace the lost 911s. Porsche will make put like bandits. They will get retail value for the maritime loss and double their profit by producing four replacement units. 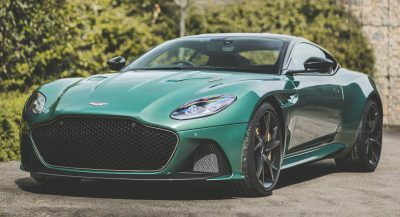 The margin on those low production cars is staggering. 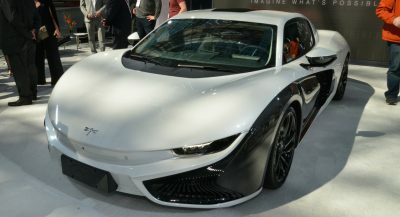 I just wonder how much does it cost to go back to a production line that is closed and generate 4 more cars. Now I’m assuming that a lot of the car is hand made so it might not add too much. But no doubt it will cost more to produce these four. No, they have a parts bin and they just put it into production. There are certain parts which are custom installs like the rear wing but all the 911 engines are hand made so it’s nothing special there. Ummm… no. The customer isn’t paying a dime for the replacement car, so there’s no double profit. Ummm… it’s called insurance, idiot. They will be compensated for the full insured value. I want to go GT2 RS fishing.